iPhone 5s vs iPhone 6 vs iPhone 6s. Which is the best one? Apple,s iPhone is the most favorite and unique phone ever, iPhone 5s vs iPhone 6 vs iPhone 6s are front facing phones of Apple. 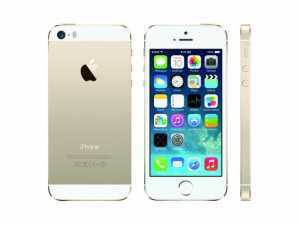 6th series of apple iPhone is the successor of 5th series of iPhone that comes with different and shocking features. So in this post, I’ll mention their specs and compare them. 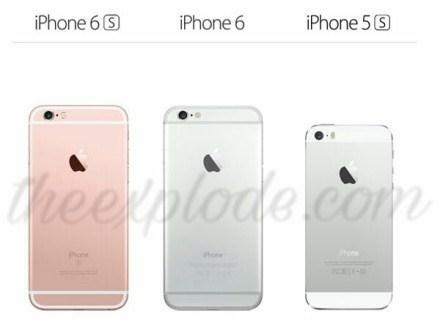 Here is iPhone 5s vs iPhone 6 vs iPhone 6s, let’s start with iPhone 5s which has a price of $279.50. It is a 4-inch smartphone with 640 x 1136 pixels IPS Display. It has fully metallic body and in the processor, you get a processor of Apple A7 which works on 1.3GHz dual-core processor. Here the GPU is PowerVR G6430 (quad-core graphics). In terms of Memory, you get 16/32/64GB internal storage with 1GB RAM. Here the battery is of 1560mAh and the camera is of 8MP+1.2MP. You get fingerprint sensor, Accelerometer, gyroscope, proximity & compass sensors. Now talk about iPhone6, the next and famous series of iPhone . In this also you get chamfered edges , 4.7 inches 750 x 1334 pixels IPS Display, 1GB RAM, 16/64/128GB internal. Here you get Apple A8 which works on 1.4GHz dual-core processor and has PowerVR GX6450 (quad-core graphics) GPU. Here you get the camera is same as iPhone 5s which is 8MP+1.2MP. Here you get Accelerometer, gyroscope , proximity, barometer, compass & fingerprint sensors and battery is 1810 mAh. It has a price of $356.93. 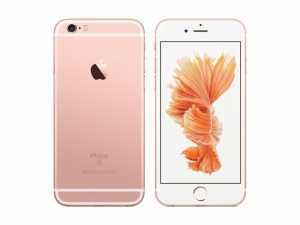 iPhone 6s, the successor of iPhone 6, here you get some major changes like it has the camera of 12MP+5MP of the camera instead of 8MP+1.2MP, RAM is 2GB instead of 1GB, internal storage is 16/32/64/128GB. Here you get Apple A9 which works on 1.84 GHz dual-core processor and has PowerVR GT7600 (six-core graphics) GPU. Here you get Full HD 4.7 inch 750 x 1334 pixels IPS Display. you get Accelerometer, barometer, gyroscope , proximity, compass & fingerprint sensors. It has a price of $468.55. These phones are the best package in these prices. 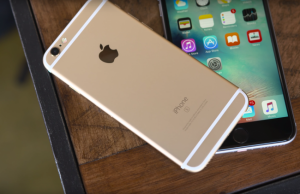 You are getting iPhone 5s at $279.50, iPhone 6 at $356.93 and iPhone 6s at $468.55. The main highlight here is iPhone 6s has 2GB ram more than iPhone 6 and iPhone 5s and all the three iPhones have different processors A7, A8, A9. 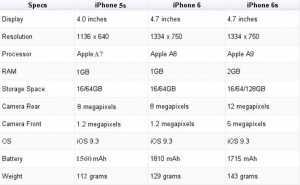 There is a big change in the memory of 6 series of iPhone i.e. 128GB of maximum internal memory totally double of iPhone 5s. iPhone 6s has better camera quality in comparison of iPhone 6 and iPhone 5s.